The Piltdown Hoax, contrary to creationist claims, is not an embarrassment for science but a vindication of the scientific method. It shows us how even if human weakness and vanity intrude into science, or even if the evidence is viewed through the distorting lens of cultural assumptions, the scientific method eventually weeds them out. The process of reexamination - of allowing doubt and uncertainty to drive reassessment - and above all to be prepared to admit it when previous beliefs and accepted wisdom begin to look out of kilter with more recent discoveries, it what makes this weeding-out process an integral par of the scientific method. And of course the original perpetrators of hoaxes and falsification of data eventually die, so future generations have no vested interest in maintaining the deception and everything to gain from exposing it. The accusation that for some reason scientists are prevented from criticising or questioning established science is demonstrably wrong in every branch of science. The history of scientific progress is the story of older ideas and theories being modified or replaced by newer ones in the light of new evidence and understanding and reputations are frequently built on the kudos of having overthrown an idea. No-one goes into science to be a savish functionary spending their life confirming what we already know. Every budding scientist dreams of discovering something new or replacing an established idea with a better one - and winning the plaudits, prizes and job offers that would come from it. 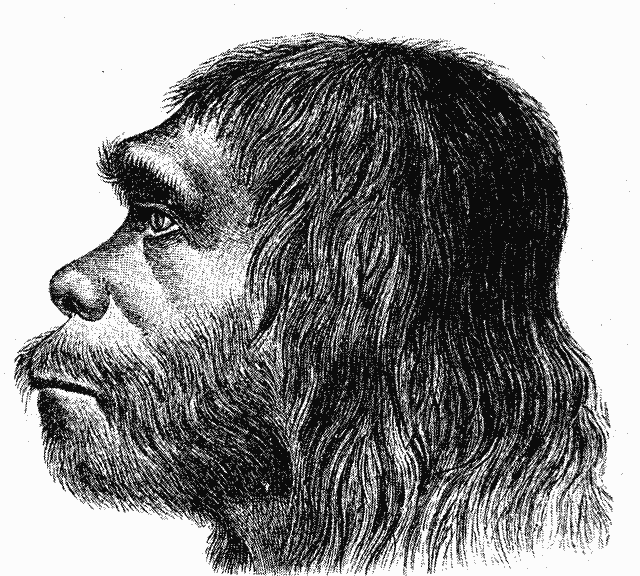 Piltdown is almost a classic example of the scientific process in practice. The team at my old Oxford University Department of Human Anatomy, where I worked as a technician for eleven years, were not shunned by the scientific establishment for proving Piltdown to be a forgery, they were lauded for it. My old friend Professor Sir Wilfrid Le Gros Clark was knighted and was elected President of the Royal Society - the foremost British scientist of his day and heir to Isaac Newton. A bust of him by the noted sculptor, Jacob Epstein still stands in the foyer of the Department of Anatomy. I first met Sir Wilfrid and his wife Freda when I used to deliver their Sunday newspapers while they stayed in a cottage owned by a friend of theirs in my little village in North Oxfordshire. We became friends when he discovered I had a passion for nature and had a collection of skulls and fossils. Eventually, he had a house built in the village as a retirement home and I had access to his extensive library of books. Later still he recommended me to a colleague at his old department who needed a junior technical assistant and I landed my first job. Sir Wilfrid was a lifelong socialist who valued the tribal tattoo and honorary chieftainship he was given by a Borneo tribe in recognition of the medical services he had provided for them as a young doctor, as much as he valued his knighthood. He was also a lifelong atheist - the first I had known since becoming one myself. It was Sir Wilfrid who told be he and his team were fairly certain Piltdown had to be a forgery because there was just so much out of place with what had been accumulated since its 'discovery' and what had even been discovered in France and Germany before the hoax. That it would prove to be a forgery was a prediction made from applying the Theory of Evolution to the known facts. There could not have been a primitive human with a large skull but a simian jaw living in what is now southern England between 500,000 and 1,000,000 years ago. The only explanation was a forgery. As they began to drill into the jaw using a dental drill, within seconds they smelt burning bone and saw a wisp of smoke and knew their prediction was proven. Mineralised fossils do not burn; bone does. The jaw was not a fossil, it was bone stained to look like one. And so one of the early predictions of the TOE was proven. The visible file marks on the teeth were mere confirmation as was the fact that the stain was only on the surface. Palaeontology in Britain was going through a lean time and its practitioners desperately wanted to believe that fossil gold had been struck. Digs in France, at Cro-Magnon, and in Germany, at Neanderthal and Heidelberg, had produced startling finds of early humans. Britain had nothing. One French palaeontologist had even dismissed his English counterparts as mere chasseurs de cailloux – pebble hunters. Note here the assumption that 'our intelligence... separated us from the animal kingdom'. Now I wonder where that idea came from! Take a look at the post I wrote yesterday on intelligence in New Caledonian crows. It was of course all part of the then very English tendency to see the English as at the apex of some half-baked notion of a ladder of evolution, and the culturally arrogant assumption that England was a special place in God's scheme of things - rather like what we see today in the USA. And humans were of course a special creation. It is for reasons such as this that not only did the Anglican Church in general not resist 'Darwinism' but actively participated in developing the perverted form of it known as 'Social Darwinism' - the only form of Darwinism embraced enthusiastically by the White right in the USA. Social Darwinism provided a justification for the British Empire, for the second class status of non-white people across the Empire and for sending missionaries out to convert the 'pagans' and lesser peoples to the 'one true faith'. In short, social Darwinism gave the English the excuses they need for their cultural arrogance. The same perverse thinking and perversion of science was to lead later to the grotesque obscenity of the Christian-led growth in European Fascism and ultimately to the uniquely evil Holocaust. It seems the forgers (there may have been more than one, even acting independently), of whom Charles Dawson was almost certainly one, with Martin Hinton, the Jesuit priest, Father Teilhard de Chardin, the author Sir Arthur Conan Doyle also being in the frame and maybe part of a conspiracy, had found a ready and willing audience for their hoax. It may be that Dawson, many of whose other archaeological 'discoveries' have since been shown to be forgeries, was merely carrying on business as usual. Given the class-based nature of British society at the time, it was not unusual for especially clever people to conclude that their mission in life was to provide the necessary 'evidence' to convince lesser people of the truth as they knew it. The pseudo-theologian and children's book writer, C. S. Lewis and the whodunit novelist Sir Arthur Conan Doyle both fall firmly into this category. The tests to be applied using modern science not available in 1953 will no longer be looking for evidence of a forgery, but evidence to show who did it, where and when. Once again, it is science that is investigating Piltdown. Religion has never brought anything to bear on the problem and in its Anglican Christian form may well have contributed to the motive for the hoax and for its perpetuation for far longer than even little more than a cursory glance at the 'fossil' would have allowed. Yes, the British scientific establishment fell for the hoax but the scientific community, using the scientific method, exposed it. The religious community had nothing to say on the matter until after science had proved the skull to be a forgery - apart from gleefully incorporating it into their excuse for racism and cultural chauvinism.